Jack White does the weirdest things. Two years ago, he sent a record player into the stratosphere, aboard a high-altitude balloon. As it soared, it played A Glorious Dawn, a musical remix of astronomer Carl Sagan’s spoken word album, which also features the late physicist Stephen Hawking. The copy of the album that he sent up was the three-millionth record to be pressed at his then five-year-old Nashville-based studio, Third Man Records. The hot-air balloon expectedly burst in the cold at around 95,000ft above Earth but the record player (equipped with GPS and speed controller), which came down by parachute, continued to play the album as it fell to the ground. That endeavour, which White named The Icarus Craft, was ostensibly part of his career-long efforts to come across as an eccentric. White, 42, is the well-known American singer, songwriter, guitarist and music producer who was one half of The White Stripes, a band formed in Detroit in 1997, which was at the forefront of the punk blues revival of the early 2000s and won plaudits, including three Grammys, besides quickly becoming a global sensation. Jack and Meg White, who were The White Stripes, began by playing stripped-down and raw garage blues with the former on guitar and the latter on drums, usually accompanied by little else. They added more instruments in their later years but their recordings typically used old equipment and technology—such as four-track reel-to-reel tape recorders in an era where digital know-how literally allowed for hundreds of tracks during recording, and musical instruments such as restored vintage guitars and old amplifiers. But although minimalistic, The White Stripes’ music was of an uncompromisingly high standard, characterized by Meg’s unembellished drumming, Jack’s wildly searing guitar, and his curiously appealing nasal vocals. The band ran till 2011 and released six albums, all of which won it praise and a massive following. It also helped that the Stripes’ eccentricity extended to their image: They usually wore only red and black; Meg and Jack were married (divorcing later) but gave the impression that they were siblings; and Jack, whose birth surname was Gillis, replaced that with Meg’s surname. Even when The White Stripes were still active, Jack followed other musical avenues as well—with The Raconteurs (in which he played guitar and sang), and Dead Weather (in which he played the drums and was the co-lead singer along with Alison Mosshart of The Kills). But it is his solo career that began in 2012 with the release of his debut album, Blunderbuss, which has really blossomed. That album was markedly different from the earthy minimalism of The White Stripes. Its sound was more burnished, with more band members and musical instruments (upright bass, fiddle, mandolin, organs, clarinets, tambourine, and so on); and the lyrics, many of them about pained love and its loss, were more intimate. Yet, White’s penchant for pushing the boundaries with his raw and scorching guitar affirmed its presence everywhere. Critics loved it. 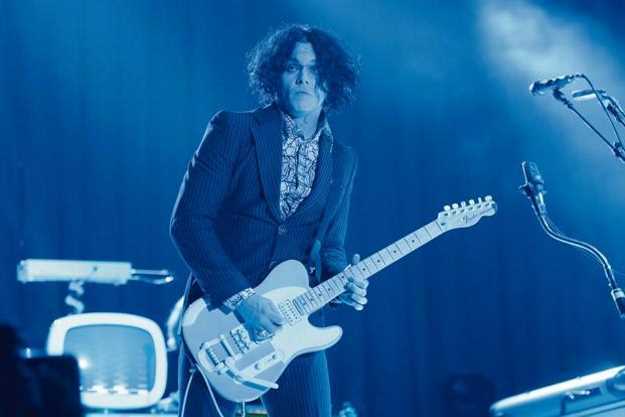 Blunderbuss was followed in 2014 by Lazaretto, a set of 11 tracks that ranged from a modern twist on a 1920s song by early bluesman Blind Willie McTell (the opener, Three Women) to another that is hip hop inflected (the title song, Lazaretto), to yet another that is a rush of lunatic energy (The Black Bat Licorice). Once again, both critics and fans were floored. In all probability, that will be repeated with Boarding House Reach, which released on Friday. On first listen, White’s latest album sounds like wild frenzy and the songs are quite unlike the manner in which blues songs are structured—even by his standards. There are percussion and hip hop beats and backing vocals that seem strange yet cohabit comfortably with his nasal vocals and explosive guitar riffs. There are funky elements in the album, such as on the track Respect Commander, where percussion, screaming guitar and pulsating keyboards provide an extended instrumental intro before, midway into the track, White’s vocals kick in. Surprises abound too—on Ice Station Zebra, there’s a hat-tip to hip hop; on Ezmeralda Steals The Show, the vocals are in a spoken word style; and on the opening track, Connected By Love, there is a deep hue of gospel. With White experimenting with so many styles, Boarding House Reach isn’t an easy album to quickly wrap your head around, but then who expects to do that with a Jack White album? If he hadn’t become a musician, White would likely have been a furniture upholsterer. In his native Detroit (he is now based in Nashville), White first apprenticed at an upholstery shop before setting up his own. And his obsession with minimalism is said to have begun with the realization that it takes only three staples to fix upholstery on a piece of furniture, such as a couch. At his Nashville abode, besides a recording studio and its own vinyl pressing facility, there is a small upholstery shop where he sometimes works. And then there are his collections—a house in Michigan he doesn’t live in but bought because it was designed by George Nelson, a pioneer of American modernism who also designed furniture; an original comic book from 1938 in which Superman first made an appearance; American blues musician Leadbelly’s arrest records; and the vinyl that Elvis Presley recorded as a demo before his career took off. Some think White’s affectations and eccentricities are part of a marketing hustle—he often wears black and yellow (think yellow wingtips with all-black clothes) and publicly slams contemporary musicians (he recently said he didn’t understand what rap music’s superstar DJ Khaled does, and has famously feuded with Black Keys drummer Patrick Carney). They could well be right. But, you know what, for the music he continues to give us, I would indulge him with his idiosyncrasies, whether they’re intentional or otherwise.